Aerial View Forest Fire Smoke On The Slopes Hills. 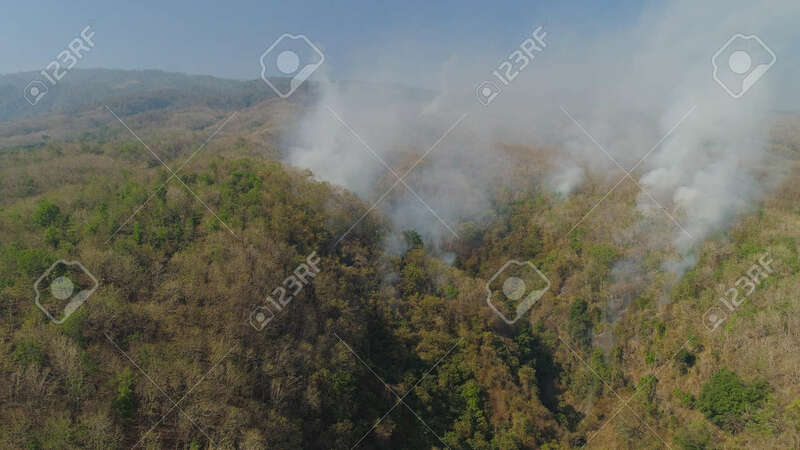 Wild Fire In Tropical Forest, Indonesia. Natural Disaster Fire In Southeast Asia Lizenzfreie Fotos, Bilder Und Stock Fotografie. Image 115258473.